FULL service law firm Shoosmiths is expanding its Belfast operation and adding 13 mostly graduate jobs to its payroll, helped by £52,000 of backing from Invest NI. The company, which gained a foothold in the north by acquiring McManus Kearney 18 months ago, is establishing an 'Inceptions' team which will be located at its Montgomery Street base in the city centre and will service its 11 UK offices. 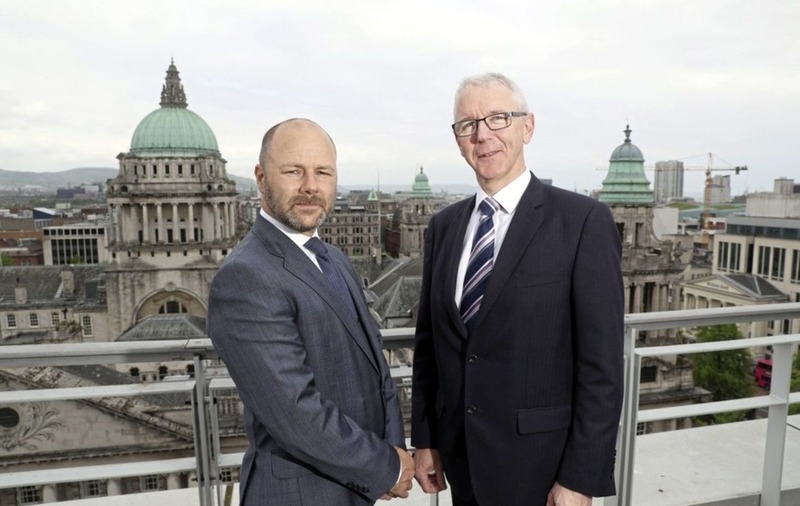 “The exceptional quality and ready supply of talent here makes this region an attractive location for us," Shoosmiths' Belfast office head Jason Byrne said. Invest NI's Brian Dolaghan added: “Northern Ireland has a vibrant international legal services sector which has developed significantly in recent years with investment by national and global firms. “Mergers and acquisitions have brought firms like Shoosmiths together with successful local practices. The benefits not only mean firms can deliver an improved service to their clients, but that legal teams here increase their engagement on a broader range of clients and projects." He went on: “Shoosmiths' decision to expand the range of client services it delivers nationally from Northern Ireland is a further example of how the legal sector here is evolving.